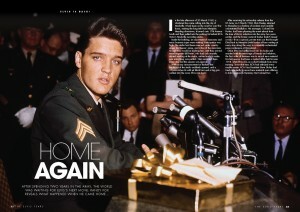 For volume two of The Elvis Years, we follow Elvis’s journey from US army service through to his movie career and the music that soundtracked the period. You can also find this issue in Tesco, WHSmith, Eason’s and independent retailers. 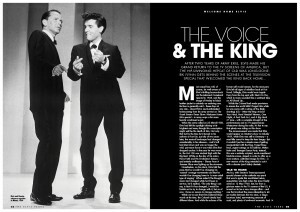 Beginning with a vital pre-army recording session, we explore Elvis’s time in service, profile Elvis Is Back!, the album that announced his return, and tell the story of his TV comeback on Frank Sinatra’s Elvis special. Hollywood was the main focus throughout the 60s and there is a detailed examination of the entire period here, from GI Blues through to his final movies, with fascinating insight from movie co-stars, Cynthia Pepper and Marlyn Mason. 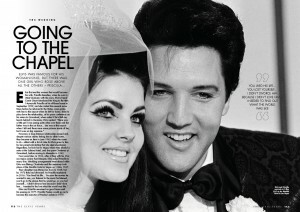 Our special feature on Viva Las Vegas examines one of his most famous movies in further detail, and we take a look at the leading ladies from throughout his career. 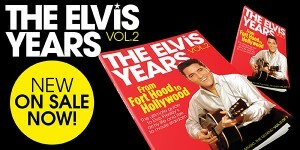 Elvis produced some incredible music throughout this period. Here, we dig down into the process: from the league of super-talented songwriters working for the King, through to The Wrecking Crew studio musicians that brought those songs to life. 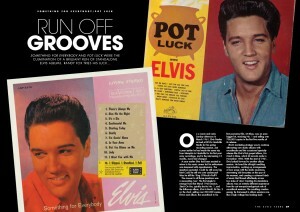 Plus, Something For Everybody, Pot Luck and Presley’s garage rock LP, Spinout, all receive in-depth analysis. 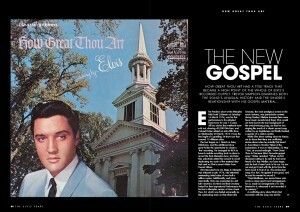 Also in volume two, we uncover the captivating history of gospel favourite How Great Thou Art, the track that gave him his first Grammy, we tour Graceland and browse Elvis’s fleet of cars, plus we offer up our alternative Top 20 from the 1960-67 period. « Issue 37 is now on sale!